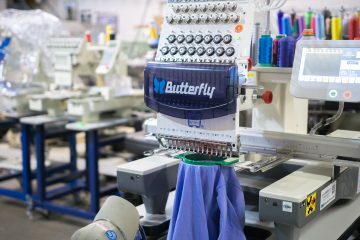 Need more reasons to choose Butterfly Commercial Embroidery Equipment? 1. User-friendly Interface on 8” Touch Panel (800×480 resolution).  The adoption of the touching panel technology offers user the delightful operation and easy learning. The beautiful screen display turns everyday work into joyful experiences. 2. Automatic Turn-off of LCD Display. In order to extend the LCD life, the system will turn off the LCD automatically in case of no operation in 10 minutes (the time can be changed in parameter setting). Touching the screen or the task-shifting key will reboot the LCD. The memory capacity reaches 100 million stitches, Its huge memory capacity can meet demands of different customers. 4. Stitch Amount of One Design at One Million Stitches as Maximum. At present a single design in the system has the maximum of 100,000,000 stitches and 250 times of automatic color changing. 5. Multi-Task Parallel and Free Shift among Tasks. 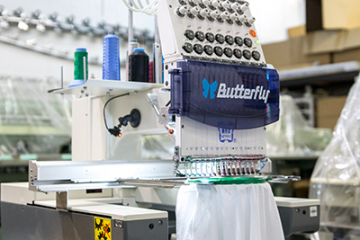 During the embroidery, actions like design input & output, preparation for the following designs and modification of parameters can be carried out. You can even change the color sequence of the actual design being done without the need to stop the machine. The flexible shift among current tasks can be realized with the task-shifting key.